Hello my wonderful readers! I’m delighted to be back to blogging on a kind of regular basis. I hope ya’ll are liking it too! 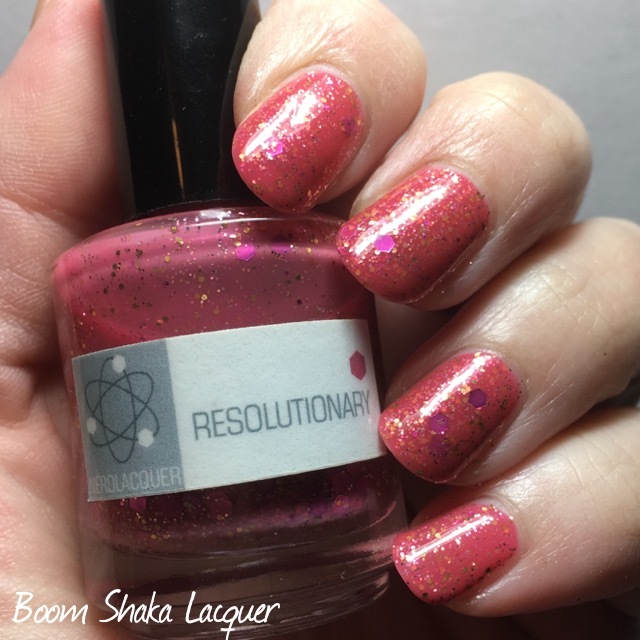 Today I’m going to show you a NerdLacquer polish. 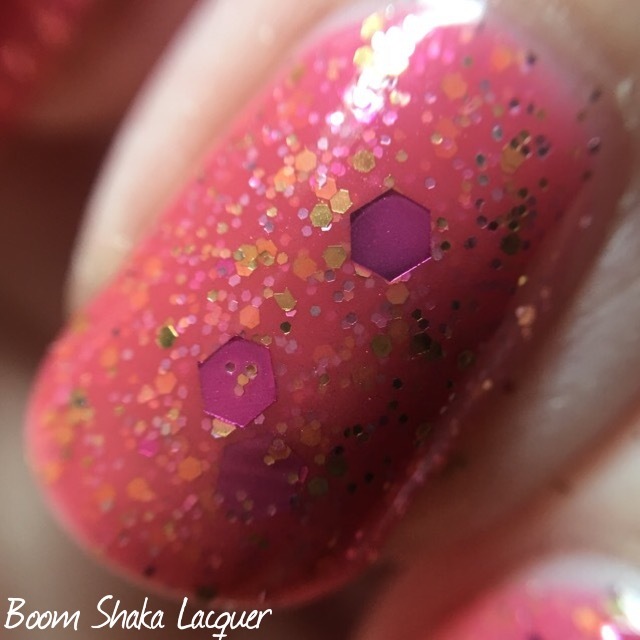 Now, I know there has been a good amount of scuttlebutt in the indie polish community but I still like NerdLacquer polishes and I think other people do too. I personally have not ever had a bad experience and I assure you that if/when I do I will be certain to tell you about it. Enough of this part though…let’s get down to nail polish, that’s what we’re all here for! 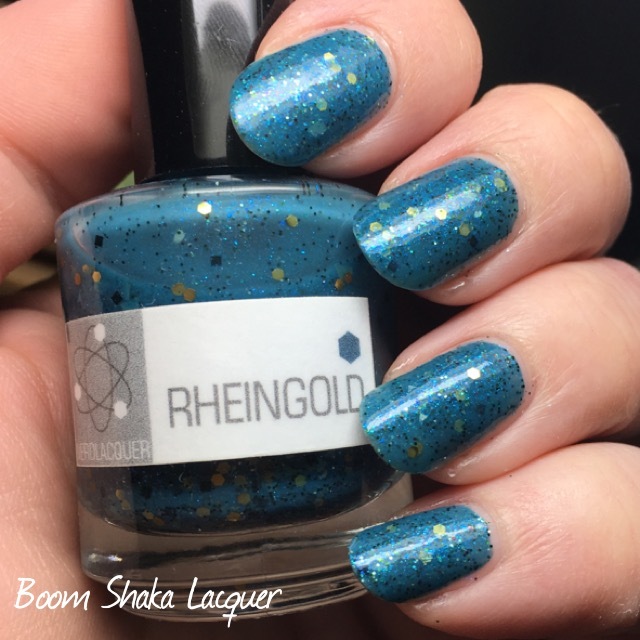 I really love the color of this one it’s a slightly blackened teal jelly polish filled with black and gold micro-glitter, metallic gold dots, and matte black hex glitters. There’s a shimmer to it too. 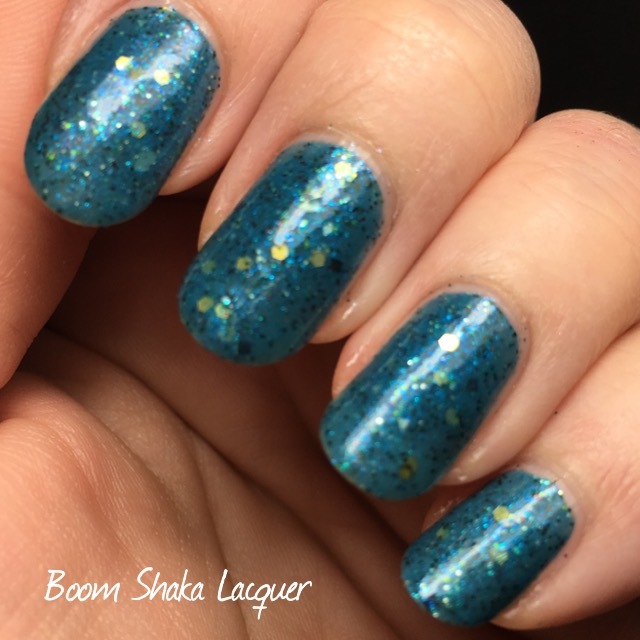 It’s a lovely glitter jelly polish that isn’t so heavy on the glitter but has a really good balance. Formula and application on this was really quite good. It didn’t require any fishing for glitter and I got a decent spread. 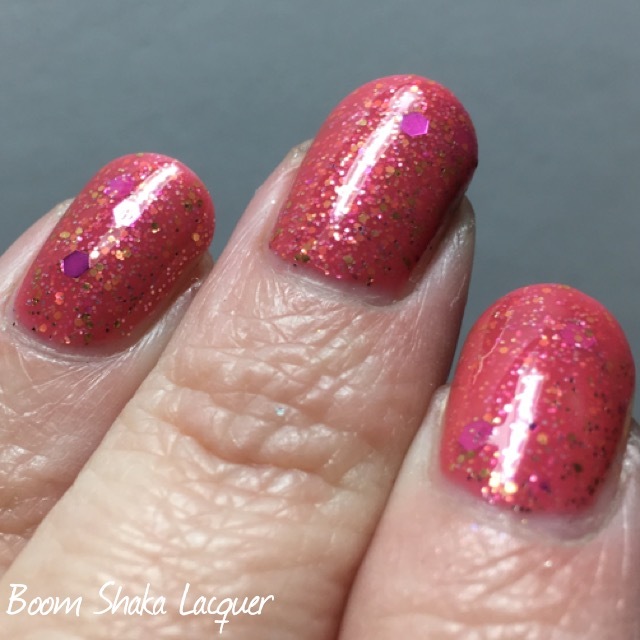 It’s sheer but builds to opacity in about two coats, I put a little extra on the tips of my nails here because they were so long and the nail line was quite prominent. 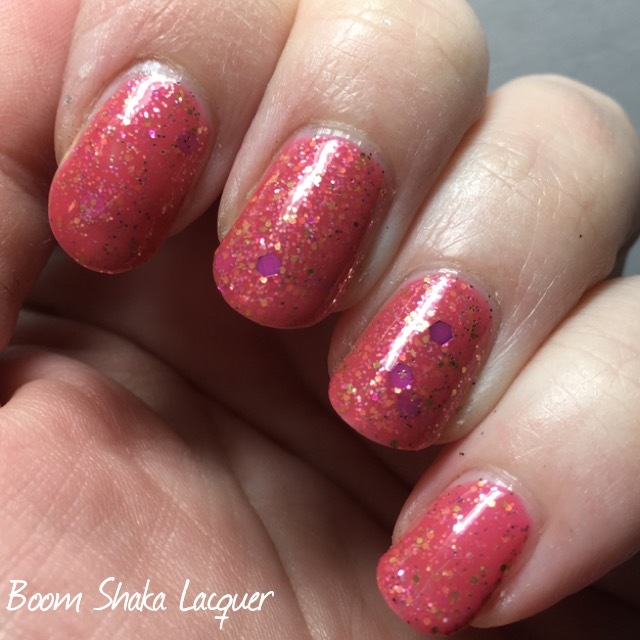 It was also not “topcoat hungry” and smoothed out with my usual topcoat very well. Pictures show two coats plus topcoat. NerdLacquer doesn’t maintain any social media and their restocks are silent. You just have to watch the site. In recent months things have been pretty well stocked and she has a good variety of geek-themed polishes. Pertinent link below. There you go my lovelies! Don’t forget I have some exciting things coming up so you’ll want to keep checking back! Until then, may your days be filled with Glitter and Flakies!